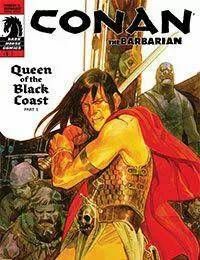 In this sweeping adaptation of Robert E. Howards fan-favorite Queen of the Black Coast, Conan turns his back on the civilized world and takes to the high seas alongside the pirate queen BÃªlit, setting the stage for an epic of romance, terror, and swashbuckling. This is Conan as youve never seen him, with the combination of one of Robert E. Howards greatest tales and the most dynamic creative team in comics! * A perfect jumping-on point for new readers! * A bold, fresh take on the Cimmerian. * Queen of the Black Coast is the most-requested Conan adaptation!